This is the second unshared layout. This layout is of Amy this time, doing some craft stuff with me. Fun times. 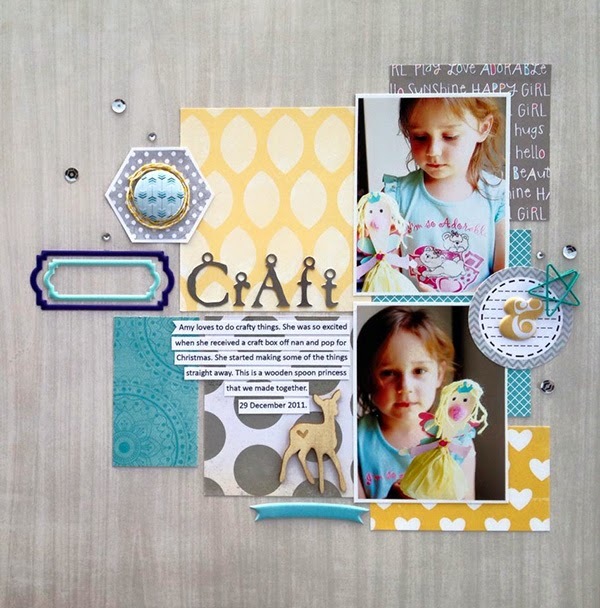 It was created for the D-lish Scraps March inspiration board. Yep, those are old as the hills Making Memories alphas. I have hoarded them for what, 10 years or so? Ah my too good to use pile will never end.